Pentair Hygienic Butterfly Valves F250/F251 (formerly sold under the brand Keystone) are used in all segments of hygienic applications. Our comprehensive shut-off valve line features both manual and pneumatic drive options, including lockable handles and vertical actuators. One-piece disc and stem assembly. Fully machined 316L stainless steel body. High grade seat material options. Combination dual or multi position handle assembly. High impact reinforced polymer handle with a stainless steel drive (full stainless steel option available). Integral padlocking as standard on manual valves. Pentair Hygienic Butterfly Valves can be operated either by a manual handle or remotely controlled by an automated pneumatic actuator. The manual version comes standard with a dual/multiposition handle notch plate, which can be easily reconfigured to suit the specific installation by being positioned in any of the four operating quadrants, and also is supplied standard with a padlock facility. 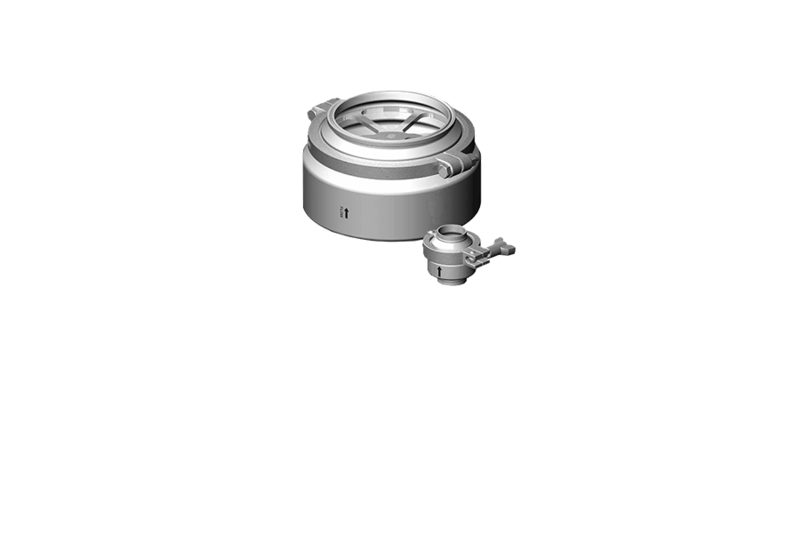 The automated version valve can be supplied in three configurations, Spring to Close (STC), Spring to Open (STO) or Double acting (DA). 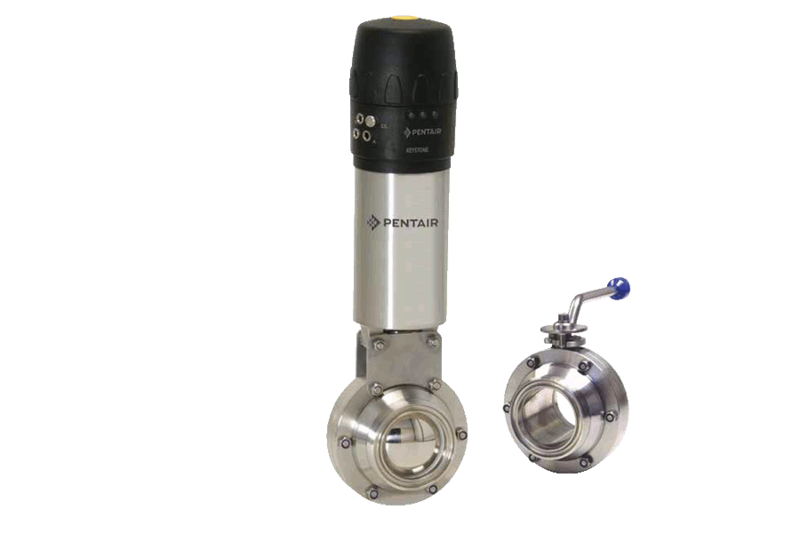 Pentair Hygienic Butterfly Valves are universal valves for isolation and control, in the food, dairy, brewing, pharmaceutical and beverage industries. These butterfly valves are designed to be easily automated with the Pentair Vertical SS Actuator, combined with the Easymind Electronic Control Top. 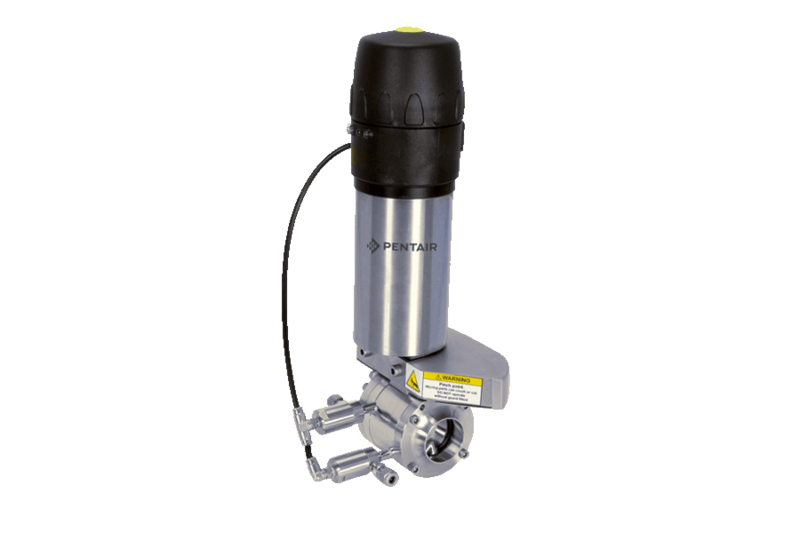 Other automation options can also be made with other Pentair rack and pinion actuators upon special request. 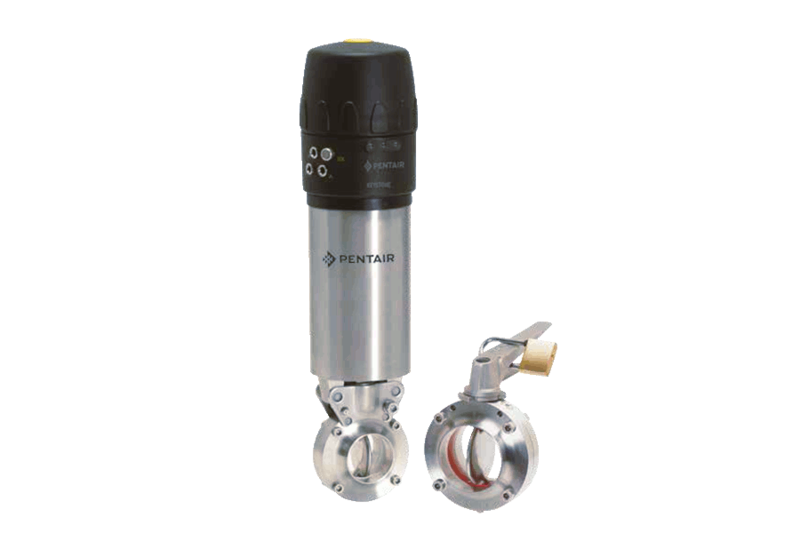 Pentair (previously Keystone) Valves for a safe separation of incompatible fluids in a compact design including leakage detection. Pentair (previously Keystone) sanitary shut-off ball valves are a universal valve for isolation and control, for chemical and other process fluids. 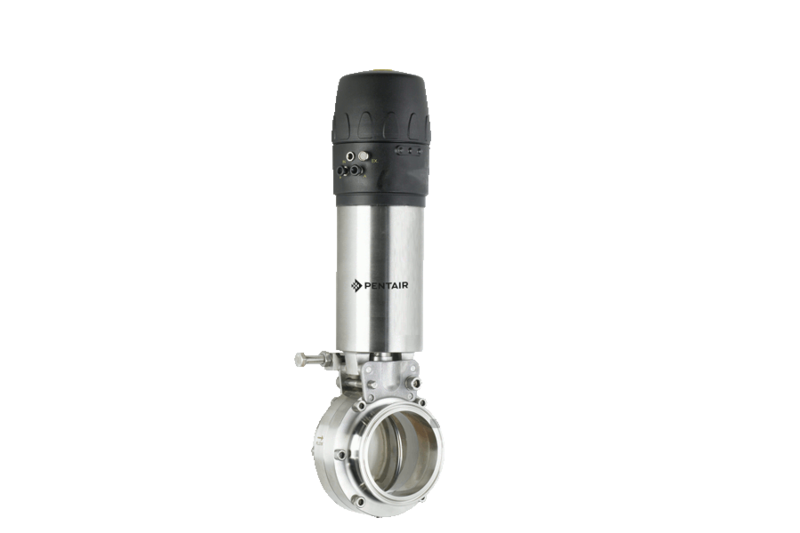 Pentair (previously Keystone) Hygienic Non-return Valves for reverse flow protection are are made of stainless steel and designed for optimized cleanability.